Since July 1, 2018, the Korean Embassy in Manila has been implementing a new visa application process. 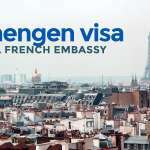 The requirements are still the same, but this time applicants will need to course their application through any of the embassy’s officially designated travel agencies. 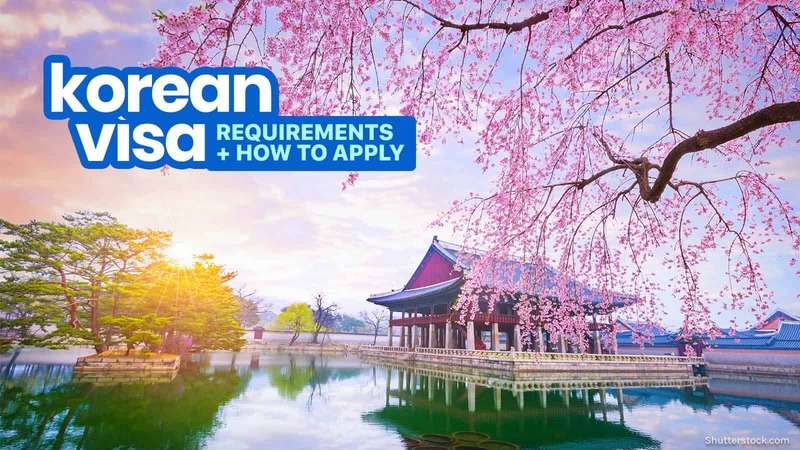 Here are the South Korean visa application requirements and steps. The move was in reaction to the growing number of applicants in the Philippines, which has almost doubled in the past couple of years, from 90,000 in 2015 to 160,000 in 2017. This caused applicants to create long queues in front of the consular building often as early as 2am. To avoid this inconvenience, this new application procedure is set to be rolled out. This also means that walk-in hopefuls will no longer be allowed to directly apply for a tourist visa at the embassy, with some exceptions. Note that the Korean Consulate in Cebu is NOT affected by this and will continue to accept direct applications on site. For more information about direct application in Cebu, read: How to Apply for a Korean Visa in Cebu. 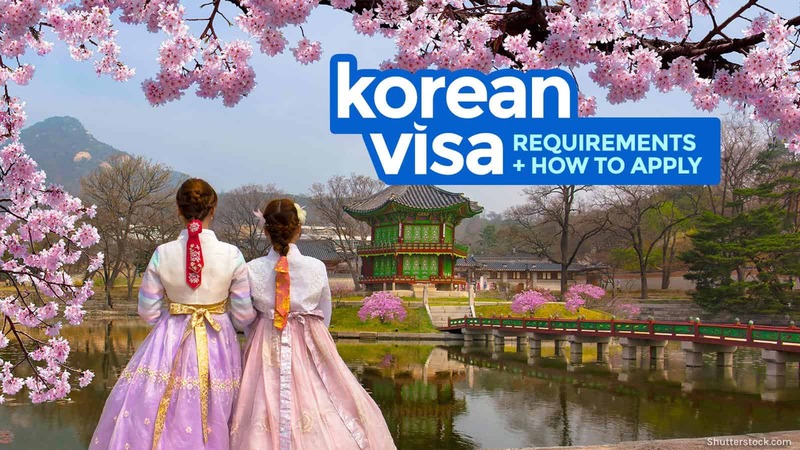 Here’s a quick step-by-step guide on how to apply for a South Korean tourist visa via travel agency. 1. Complete all the requirements. 2. Submit the documents to a designated travel agency. 3. Claim your visa and passport. 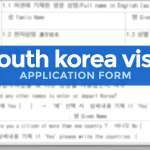 How early can I apply for a South Korea Visa? How long would I be allowed to stay in Korea? Do I need to book flights and hotels before applying? Do I really need a travel agency for this? Do you recommend any travel agency? How long does the entire visa application take? What is the Visa Issuance Confirmation in the Section 2 of the Application Form?  Should the application form be typewritten/computerized or handwritten? If the question doesn’t apply to me, should I put N/A or just leave it blank? I have OECD Visas but they’re e-Visas. Is it accepted? I’m applying with family. Does everyone of us need to submit a copy of bank certificate/statements? I have a sponsor, do I still have to submit my own bank documents? Can my boyfriend or girlfriend sponsor my trip? I am on paperless billing and I receive my credit card account statement via email. Can I just print it out and submit? If I avail of the credit card promo for multiple entry visa, do I still have to submit a Certificate of Employment? My parent owns a credit card that is eligible for a multiple entry visa. I am an extension/supplementary card holder. Can I also apply for a multiple entry visa? I am tax-exempt. Do I need to submit an ITR? My employer said they can’t provide the company alphalist because it’s confidential. What can I do? Is it possible to pull out my passport during application so I could use it for another trip? What are the contact numbers of the Korean Embassy in the Philippines? Must be computerized or typed, NOT handwritten. Must be printed on an A4-size paper. For fields that are not applicable to you, leave them blank. Download here. You can also find it below.  Must be pasted or glued on the designated area on the page 1 of Application form. Must be valid for more than 6 months from your target travel date. Must have signature. For new 10-year passports, the signature field is on the bottom part of Page 3 (page next to the Bio page). For previous passports, no need to sign because it already has your digital signature on the Bio page itself. Must have completely filled out Emergency Contact Page (last page of the passport). Only if you traveled abroad within the last 5 years. If you did, submit them together with your current passport. The bio page is the information page of the passport (Page 2). Make sure you have a photocopy of it. Only if you have them. If you don’t, skip this part. Having an OECD visa can increase your chances of approval. To see all the OECD member countries, visit this website. a copy of the inviter’s passport. Ignore this part if not applicable to you. In addition, you will need to prove that you can support the trip. Here are the additional documents you need to secure according to your employment status. ITR (Income Tax Return, Form 2316), ideally with BIR stamp. Photocopy of Business registration form from DTI or SEC. SEC Registration must include pages with the names of stockholders. Photocopy of ITR (Income Tax Return) or Form 2316 with corresponding payment receipt from BIR authorized bank and with pages including net income and total revenue. Your own or your spouse’s original Bank Certificate. Must include account type, current balance, account opening date, ADB. Your own or your spouse’s Bank Statement. Original or certified true copy of bank statements/passbook for the last 3 months. – Spouse’s Original Certificate of Employment. Must be original; and must have the address of the employer, the landline number and email address of employer’s HR department, applicant’s position, date hired, and compensation. Mobile number is not allowed. – For Employees, ITR. The embassy website no longer mentions that the ITR copy must have BIR Received or BIR Certified True Copy Stamp. But this stamp was required previously. I don’t know if it’s still the case. – For Self-Employed, BIR Form with Corresponding Payment Receipt from a BIR-authorized bank. Starting July 1, 2018. The company alphalist is no longer required. However, it may be requested as additional document for some applicants. But if you’re applying before July 1, you will still need to provide it by default. For family applications, you must provide documents that can serve as proof of relationship. Birth certificates and marriage contracts are accepted. A representative can file for the whole family. Make sure you have gathered all the requirements listed above. The list follows a certain order. The basic requirements first, then photocopy of OECD visas, then the financial/employment documents, and lastly the invitation letter or cover letter if you have it. You will also be given the list when you enter the embassy, so you can rearrange the docs on the spot. Now that you have all the required documents, it’s time to find an officially designated travel agency. The embassy accredited 35 agencies where you can lodge your application. If you’re familiar with the Japan Visa application process, it works pretty much the same. The good news is, many of these travel agencies have branches all around the country, which means it’s easier for applicants in the provinces to apply. To see the full list of travel agencies, their addresses, and contact details, visit: List of Korean Embassy-Accredited Travel Agencies. The only applicants that can directly apply at the embassy are spouses and children of Koreans, government employees on official business trip, applicants with humanitarian reasons to travel urgently, and holders of visa issuance number (a separate document issued in Korea). The visa itself for stays shorter than 59 days remains FREE-OF-CHARGE, but now that the embassy has employed travel agencies, they will surely be collecting a processing fee from applicants. The fee varies from agency to agency, usually between P500 and P1500. But call your chosen embassy to confirm their rates. There used to be different processing periods for first-time applicants (3 working days) and frequent travelers (5 working days) but this is NO LONGER the case. Now, short-term visa applications will be processed over a period of 7 business days. At least, most of them. Some can take shorter, some longer, depending on your case, but it is safe to peg it at 7 working days. But because the agencies are now in the picture, the whole process takes much longer to give agencies time to collect, document, sort out, deliver to and pick up the passports from the embassy. Some agencies promise 7-10 days, up to 20 days. It really varies per agency. If you don’t have that much time, you can avail of the RUSH PROCESSING OPTION, which will expedite the of visa to only 2 days. But it comes with a USD20 express fee. These are the processing times by the embassy. Pick up your passport (hopefully with a visa attached) when you are informed by your travel agency. Some agencies can arrange to mail it to you if you prefer, but most will ask you to come back and pick it up from their office. You can enter Korea at any time within the next 3 months (90 days) of the issue date. So if your visa is issued on July 1, you can enter anytime before October 1. So that means, you can apply as early as 3 months (90 days) before your departure date. 59 days, if you’re granted a regular tourist visa. You can apply for a longer stay but you must be able to justify that. Update: Some of our readers have been granted visas that allow them to stay for only 20 days, not 59 days. We’re still trying to determine whether this is true for all new applications moving forward or just some. No. They’re not required. I’ve tried submitting these before, but they removed it from the pile. YES. The Korean Embassy requires tourist visa applications filed starting July 1, 2018, to be coursed through any of their designated travel agencies. However, if you’re applying at the Korean Consulate in Cebu, you may apply directly on your own. 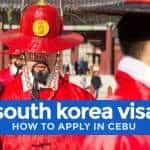 If you’re applying in Cebu, here’s how: Korean Visa Application in Cebu. We don’t really recommend any travel agency for now. But we can tell you this: Some of the information you’ll find in this visa guide that’s outside our personal experience was provided by Constellation Travels Inc.. We’re not affiliated with them in any way, but they have been very helpful in filling in the blanks in this guide for the benefit of our readers. If you find this guide helpful and since you have to course your application through a designated agency anyway, we hope you could bring your business to Constellation Travels. G/F Door 2, Manfred’s Building, 22 Gen. Luna St.
That’s how long the embassy takes to process. But you must also allow agencies time to collect, document, sort out, deliver to and pick up the passports from the embassy. RUSH PROCESSING is available, which cuts the processing time to only 2 DAYS for an additional USD20 express fee. When I applied, handwritten forms were accepted. 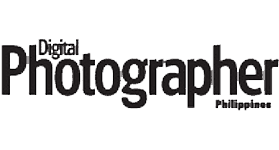 However, many designated travel agencies now require that the forms be computerized or typewritten. Leave it blank, to be safe. This is another source of confusion. In the past, writing N/A is accepted. However, most official travel agencies require that they be left blank. To be on the safe side, just leave them blank when you apply and ask the agency what to do when you’re there. As one of our readers suggested, best if you bring a flash drive containing your form so if you need to change or add something, you can easily do so at the agency’s office. Not necessarily. But you have better chances of approval. Yes. Some OECD countries like Australia issue electronic visas. You can print it out and submit. Some members of our Support Group applied with only P60,000 in their bank accounts and were granted a visa too. For families and friends traveling together for tourism, you can apply at the same time but your application will be evaluated individually. The list of requirements and procedure above still apply. Only one copy will do, provided that you’re applying at the same agency at the same time. GRANDMOTHER + GRANDCHILDREN. You need to provide an Affidavit of Support stating that the grandmother will be shouldering the expenses of the grandchildren. If the grandmother is the father’s mom, submit birth certificates of the grandmother, the father, and the grandchildren. UNCLE/AUNT + NIECE/NEPHEW. This is not considered an “immediate” relationship either, so an affidavit of support also needs to be submitted in this case. Plus, birth certificates of the niece/nephew, the aunt/uncle, and the “connecting” parent. For example, if the uncle is the mother’s brother, also provide the mother’s birth certificate in addition to the uncle’s and niece’s/nephew’s. You can find a sample Affidavit of Support here: AFFIDAVIT OF SUPPORT & GUARANTEE! YES. If you have a sponsor, you will have to submit BOTH your sponsor’s and your own financial and employment documents. You can try, but no guarantees. If you want better chances of approval, an immediate family member is best to sponsor you. A parents or sibling is most ideal. You will have to submit proof of relationship, which is hard to establish if you’re not married to your sponsor or not an immediate family member. Note that even if your trip is sponsored by someone else, you still need to provide your own bank and employment documents on top of your sponsor’s. NO. You can ask someone else to do it for you IF THE REQUIREMENTS ARE COMPLETE. To avail of this, you need to submit the original copy and 1 photocopy of credit card account statement. NO, printed copy of credit card statement received via email is not accepted. You will need to visit the issuing bank and acquire the original copy of the statement. YES. The credit card promo exempts you from submitting the ITR and bank documents only. Proof of employment (Certificate of Employment or business registration) and the rest of the requirements still apply. Yes. According to Constellation Travels, you’re also eligible provided that you and your parent will apply at the same time. Submit a copy of her valid/eligible credit card, latest original credit card statement, and a copy of your birth certificate to prove how you’re related. You should still have an ITR even if you’re tax-exempt. Since 2018, workers earning below P250,000 a year (P21,000 a month) are exempted from paying income taxes. But that doesn’t mean it exempts you from having an ITR. If you’re an employee, you can still get a copy of your ITR from your employer even if you’re tax-exempt. Since July 1, 2018, the company alphalist is no longer required. It used to be required, but not anymore. However, it may still be requested as additional document for some applicants if the embassy feels the need to confirm your employment status. It used to be possible but the embassy has announced that they have stopped entertaining such requests regardless of the reason. It’s now your responsibility to make sure that you will not need your passport at any point during the application process. Yes, but only after 6 months, if it is still the Korean Embassy in Manila that will be processing it. Some of our readers have found that the Korean Consulate in Cebu accept applications rejected by the Embassy in Manila. There have been success stories of those who were denied in Manila but were approved in Cebu. I’m not sure if it’s a rule or more like an operational loophole, but I’m just sharing that some people have done it. You don’t need to actually go to Cebu. You can also hire a travel agency to do it. If you choose to do this, just make sure that you’re adding supporting documents or addressing the reasons you were denied in the first place. Don’t re-apply with the exact same set of documents or you’ll also be rejected and face a possibility of penalty. There has to be more. Good luck! Enjoy South Korea! For more information about Korean visa applications, contact or visit the official website of the Korean Embassy in Manila. Hi, does this only apply in manila korean consulate? or kasama rin sa cebu? we are planning kasi mag apply via cebu kasi malapit kami sa cebu and using the waived financial docs promo ng BDO/BPI gold card na may multiple entry. Pano na yun? Hi my visa got denied here in Dubai. Plan ko mag jeju na Lang kasi no need visa. 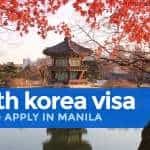 Okay Lang ba kahit kaka denied visa ko lang tapos pupunta na Lang ako jeju? What if I am currently unemployed but still have the finances to support myself on the trip? Medyo mahihirapan po. They want to be sure of not just the financial capacity but also rootedness in the Philippines. Paano kung Fresh college graduate ako, pero supportado padin ng parents ko. Hi Janzell. By any chance, is your dad a senior citizen or retired? Hi ask ko if magkano required account ng bank statement? Hi. It is said na those who have visited any country from OECD is exempted from submitting ITR. 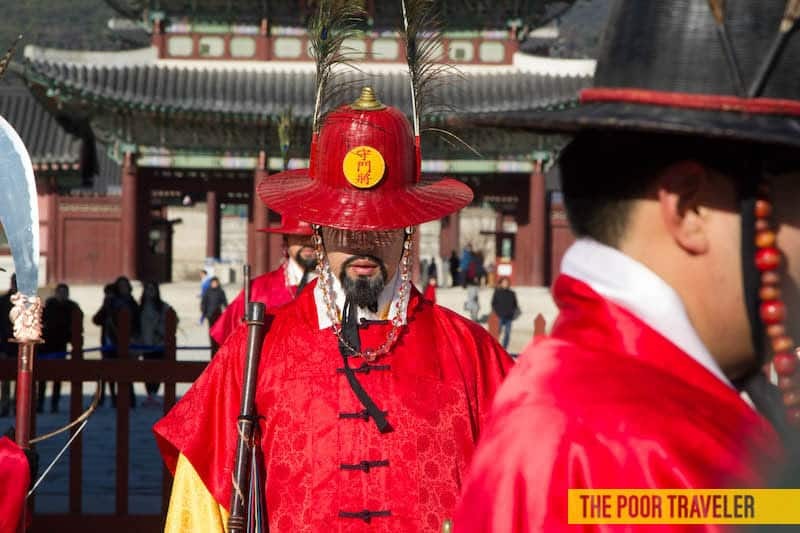 I already visited SoKor and planning to visit again, would I be already exempted from submitting ITR? Just to inquire both my parents already senior they want to travel in South Korea financially stable do I need to make a letter of support? Thank you. hi ask ko lng if ung application need ng computerized or okay nmn kung print then susulatan? Hi Mark, last time I applied, pwede handwritten basta block letters (capital letters). Ask ko lang po if below 3 months palang ang account is it still possible to apply for visa? Hi, I’ve been in OECD member countries (France and UK) last year. Is it possible that I’ll be given 1 year visa? I’m going this August then 2nd visit is in December. pag credit card po ba pwidi mag request ng bank statements? You may request copy of your credit card statement of account (SOA) to the credit company where ur a holder. Hi, i want to apply korean visa, but i stopped working last December 2017, because my korean boyfriend want me to stop work. And i have bank account .may chance pa kayang ma approve ako sa korean visa pag mag aaply ako? Mahihirapan po, sa tingin ko. Paano po if student tapos ofw ang parent? Tapos they are not filing ITR. Single mom and wala pong bank account. Possible pa rin po ba? Find another sponsor, preferably relative, and write a cover letter explaining why that relative is sponsoring you. hi, i will be applying for korean visa as self-employed. Yung DTI and mayor’s permit ko under my mother’s name for she was the owner and i took over the business last year. will it be acceptable? I have my BDO credit card, bank statement, and PRC card. also i’ve been to korea last 2016. Hi Heidi. You can put on your application “UNEMPLOYED” kasi hindi nakapangalan yung DTI at Mayor’s permit sayu. Tsaka hingi karin nang Affidavit of Support at marriage Contract at Full pages of ITR with BIR stamp sa mama mo for Verification purposes din provide your own Bank Certificate and Bank statement . Hope it can help. my sister wants me to go with her in south korea the problem is im jobless no itr, bank account… but she will support and shoulder all the expenses . will i still have the chance to have a visa. Hi can i still try applying for visa even if i dnt have ITR? Or sure denied if without ITR?.. reason for visit i won a raffle prize from paradise city resort and casino (3 nights accomodation and casino playing voucher). Will this help as additional credential? Hi Rowell, if you can get a letter from the sponsor certifying that you indeed won the trip, that would be helpful. If you have a reason why you can’t provide an ITR, you can put that in an explanation letter. Paano po itong part na to? Kasi pag check ko sa embassy website nila wala naman po nakalagay na dapat may stamp. Kelangan po ba talaga idala pa sa BIR para ipa-certify?? Hi, paano po para sa mga OFW? BIR Certified Copy po ibibigay? hi po good day! Ask lang po kung ano ang requirements ng Mother at Sister ko for korean visa? ung mother ko, Housewife sya pero may dollar account po and ung sa sister ko, employed na pero kaka-hire nya lng sa work and wala sya mapoprovide na ITR and Bank Statement but i will be sponsoring their trip po. Hi Ijin, for your mom, nasa taas yung requirements nung for housewives. For your sister, she can write a cover letter explaining why she can’t provide ITR and bank statement, although walang guarantee that it will be approved. It’s still up to whoever will process. They can also submit a notarized Affidavit of Support to show that you will be shouldering their expenses. hi Yoshke Dimen! just got my visa and its approved! thank you so much!!! Hi! I have availed the bpi promo and was granted a 3 years multiple entry which will expire on aug 2019. Since dec 2019 ang end ng promo, i plan to reapply using credit card. Same process rin kaya? Thanks! I think same pa rin. Best to call a designated travel agency to be sure. I am planning to visit Korea this September with my 4 year old daughter. My husband is working there. But I have my own bank account and could possibly support our stay there for 10 days. Do we still need an invitation letter? Hi! Yeah, I think it will help your case. I am travelling with my daughter, do we need to fill up 2 application form? Yep, just write a cover letter explaining why he can’t provide ITR. Hi Jill, no idea. My knowledge is limited to personal experience, which covers tourist visa only. Just write a letter explaining why you can’t provide an ITR. I think so. Basta nothing fishy sa transaction history. hi, til when po validity magamit un Bank certicate & Statement of account from the date issue na pwedeng mag apply ng visa? Hi Magnolia, I don’t know for sure. Pero ako, ang rule ko sa sarili ko ay 1 month. Hi. A Committee invited my theater team to perform in Korea this coming August . I was wondering if you know what type of visa we should apply for and what the requirements for this trip are. Thank you very much! Hi Jong, naku, I dunno. Best to call the embassy or any of the accredited agencies to be sure. Hi Ill be applying as a student in korea. Do you by chance know the process for this? Hi po pano pag ang kasama ko lang po isa sa parents ko but im still a minor po and were planning to go there for maybe a week only ano mga kailangan requirements? kaso yung dad isn’t working here sa ibang bansa po? may kailangan po bang letter from my mom that is allowing me to travel po kasama dad ko? Same lang din. If kasama mo dad mo and he’s not working here, he needs equivalent of ITR nung bansang un. As stated on Student’s requirements, they need to submit parent’s Company Alphalist (Form 1604 CF with BIR received stamp), what if kasama naman po kaming parents nya going to Korea, does she needs to submit this requirement? Hi Rowena, I haven’t done applying na sabay with family so hindi ko alam. Pero feeling ko kailangan pa rin kasi individually yata inaassess ang application. Pero di ko rin sure talaga. do they really call the employers? Yep, pwede. Just bring the equivalent ng documents na required. Hi Blue, kahit i-sponsor mo sila, need pa rin nila nung docs nila. Ia-add lang yung docs mo as sponsor, pero kailangan pa rin ng kanila. For the ITR requirement— since I traveled to Korea once before in 2015, I no longer need to submit it right? Or should it be 2 times to visit Korea or any OTHER OECD contry? Hi Kat, according to one official agency we talked to, the UPDATED POLICY is this: it’s waived only for those who have traveled to South Korea more than 2x within the last 4 years and applicants who have traveled at least once to any OECD country within the last 5 years. In summary, if Korea = 2x dapat. other OECD = kahit 1 time lang. If once ka pa lang nag-Korea and never other OECD, in my understanding, you will still need to submit ITR. Question lang, are there specifications/ requirements for the passport photo? Thank you. Ung account ko po is bdo kabayan savings.hindi po ba magtataka pag nakita a banking history na more than 70k ung once na dumating sa acc kc ngppdala tatay ko po ?at ung sahod ko dto sa pinas eh hndi naman gnun kalaki? If once lang dumating, magtataka sila. I am currently employed in a start-up company and we don’t have an HR, our finance head yung nagbibigay ng ITR/CoE namin. My question is, is it okay to put our finance head’s name & signature in my CoE since dapat HR Manager yun nakalagay? Yep! Pwede mo ipaexplain sa same COE na ung Finance Head din ung naghahandle ng HR matters kasi start-up. Hi. Would like to ask if ok to submit just the copy of ITR because that’s what our company only provides. Does it needs to be Certified true copy? I’ve just went to BIR on our RD but they don’t just stamp Certified true copy without the “transmittal letter” as proof that our company filed. Or ss a written letter will suffice why it is only a copy of the ITR? Thanks! Hi Zel, I discussed this in the post above. The embassy website no longer mentions that the ITR copy must have BIR Received or BIR Certified True Copy Stamp. But this stamp was required previously. I don’t know if it’s still the case. Hi po ask ko lang regarding the release of Visa. Pwede po ba iba ang kukuha during the releasing day? Pero ako po yong mag aapply pero iba lang kukuha. Thanks po. Hi Ronley, I think with most agencies pwede naman, pero padala ka ng authorization letter and copy of ID. It will be hard to get approved without a bank account. Hi! just wanted to ask yung isang kasama namin is currently working in australia. And she wanted to join us in our trip to korea this december. However, this december pa siya uuwi and will travel from ph to korea. Any advice on how we can apply for her visa here in ph? Mag-apply sa kahit alin sa designated travel agencies. Di naman kailangang personal mag-apply. Kahit isend lang ang documents, basta complete and satisfactory. kelangan po ba tlga parent’s passport and bank statements etc. What if sister ko mag susuport sakin and ung parents ko walang passport? and i’m currently a student. Ang alam ko pwede naman. I-explain mo na lang sa cover letter. Pero to be sure, call the agency na lang kung saan ka apply. Kelangan ba na original copy ang i-attach ko na bank cert & bank statement para sa mother and sister ko? Ako kasi ang maagsponsor sa trip namin. Hi Jenah, ang alam ko, oo. Pero di kasi ako familiar kapag group application. Pero get na lang original copies for all to be sure. Hi po! hindi na ba available ang promo yung sa BPI pag kumuha sa agency. Hi! I’m self-employed. May sarili akong negosyo. Complete requirements naman nsubmit ko. Bank account is good. Pero denied ang visa application saying i’m not qualified. Pwede ba yun malaman kung bakit? Dahil wala ako makita reason para sabihin na hindi ako qualified. Hi Billy, impossible po for me to know kung ano ang reason. It could be any of so many factors. Di rin enough na complete ang requirements, dapat satisfactory sa kanila yung documents. Hello may friend po ako na US citizen and also a senior she wants me to go to korea all expenses paid to accompany her. Its there a possible na maapprove ang visa ko.? Hi Jackid, it’s impossible po for me to give an opinion ng super konti lang yung info na alam ko po about your case. Depende po kasi yan sa napakaraming factors. I traveled to Israel last year. Do I need to submit the original arrival slip (since they dont stamp your passport)? Or will a photocopy of the said slip suffice? Hi po, ask lang po regarding sa Form 2316. Nasabi po ninyo na sa website nila hindi na naka-indicate na need na ng may BIR stamped po tama? Kasi po namomroblema kami ng boyfriend ko dahil yung Form 2316 nya walang stamped by BIR though yung sakin meron. Need your advice po kung ano pwedeng alternative way para may chance mas maaprove si BF kahit walang stamp yung Form 2316 nya. Magaapply na kasi kami ng visa this coming August 20. Thanks po. Hi Po. What about for Nanny/Yaya? Ano po requirements? Kami po magsponsor sa kanya. Actually, yun Yaya if first cousin ng asawa ko ka-apilyedo lang din namin. Thanks. Hi Mei, most likely you will serve as her sponsor, so you’d probably need an Affidavit of Support and a cover letter. Best to ask na lang the travel agency kung saan kayo mag-aapply for the other possible requirements. Thanks for the response Yoshke. One more question, actually parang natanong ko na to in one of your blogs. May cousin kasi kami na gustong sumabay, she can provide bank cert and statement which I can assure have enough amount to fund her travel. However, pagdating sa COE kasi yung monthly salary is just about 15k which also will appear in the ITR. May chance po bang ma-approve visa nya? May mga small businesses kasi sya but not registered like pautang kaya may enough savings sya. Hi Mei, if may savings naman sya and stable yung job or matagal na sya dun, I think okay pa rin ang chances na maapprove. Yung job kasi, hindi lang proof of financial capacity but also proof na may reason sya to return to PH. Hi Yoshke, I just want to ask regarding sa bank account ko. inopen ko sya last 2017 pero hindi ko sya hinuhulugan until June 2018. I started depositing money last July pero nagwiwithdraw din ako using the same debit card meaning – in and out yung pera sa account ko pero continuous naman yung monthly deposit ko nababawasan nga lang. We are planning to apply January of next year. what do you think will happen? Thanks so much! hi im a student applying for a visa but im not going with my parents but my mothers officemate is it still possible that my mom could support me even though she is not coming with me?? or do i need my own bank account?? as a tourist po ba kyu or studying in korea? Hi Ilhoon, yes, pwede yan. Just write a cover letter explaining your situation and why you can’t provide an ITR, but you also need to provide more proof of income. Show them your invoices and lazada statements. Of course, walang guarantee. Parating risky kapag hindi full-time employee or hindi pa registered ang business. But I highly encourage you to register your business na and pay taxes para mas madali na next time mag-apply ka ng visa sa any embassy. Wala naman po sa list of requirements ang credit card, unless multiple ang aapplyan. hi mam lyn, add ko lang po sa comment kay sir yoshke, promotional lang po ang credit card.. i think till the end of the year lang cya… mas maganda po kase kung credit card kasi po may chance na mag multiple po ang visa nyo.. pero ndi nman po required..
hi sir ilhoon.. just make an explanation letter why you dont have an itr..
Depende kung anong klaseng transactions un. If bigla-biglang may nadagdag na malaking amount sa account mo, the embassy might find it fishy. Hi! ask ko lang po, employed po aq pero 3 months pa lang but I have enough money sa savings account q for show money. Am I eligible? Pwede naman yan basta complete pa rin ung documents. If wala kang ITR, explain mo lang bakit sa cover letter. Sa sister mo. You might also need to prove your relationship with your sister, usually birth certificate nya, pwede na. hello po! I just want to ask if mababa or mataas ang chances that i will be granted a visa using my mom’s and mine’s dollar joint account? do i need a letter stating that my mom is allowing me to use the joint account, or hindi na? i also have my own bank account pero nasa 13k lang laman niya. i have an ITR pero 0 yung nakaindicate kasi i opened my BIR early, months before i actually got work (2017 ako nag-apply, 2018 ako nagkaroon ng kita). do i have to make a cover letter to explain? Hi Kai, to clarify, your joint account is an “OR” account? Not an “AND” account? If “or”, definitely no need na for a letter. I used a joint account with my mom when I applied din dati. Di naman ako nagkaproblem, pero it’s an “or” account so i can withdraw from it anytime, without permission from the other party. Regarding ITR, pwede mo i-explain sa cover letter. Pero walang guarantee na maapprove kasi parehong hindi ideal yung account and ITR mo. What if hindi nalang ako magpasa ng ITR but I’ll pass other BIR payment proof s/a 1701q and 2551M? Pwede po kaya yun? Hi Kai, no idea. 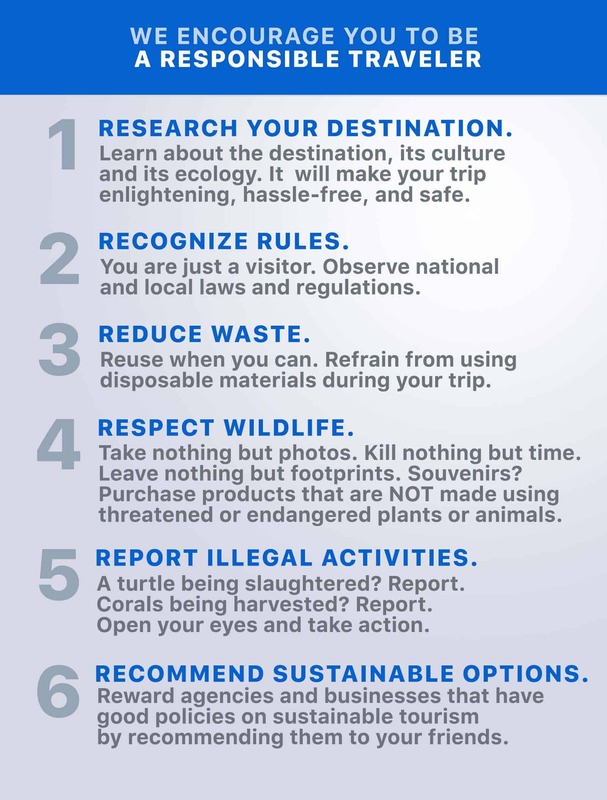 Best to contact a designated travel agency. the OECD visa has to be used para i-honor ng Korean embassy. Regarding bank statement, kuha ka na lang ng 2 copies sa bank kasi di yan ibabalik ng embassy pag sinubmit. hi there! just to confirm, if i have been to an OECD country (let’s say, Japan) in the past year, i’m exempted from submitting my ITR, right? actually, yung (expired) visa is nasa current passport ko na ipapasa sa kanila. i’m just being paranoid ig, haha. since this will be my first time applying for a SoKor visa. Hi Sele, yep, if you’ve been to Japan in the past 5 years (meaning you have a used visa), no need to submit ITR. Hello, planning to apply this september, wala ring BIR stamp ang ITR ko because online nag file ang employer ko. Pero nag email ako sa korean Embassy they said kng walang stamp need dw ng copy of email confimation from BIR. Is it okay ba gumawa ng explanation letter and mag provide ng supporting docs. Like my company’s transmittal letter and Alpha list? And factor rin po ba na ma deny ako because Im a nurse? Maraming kakilala ko na deny are nurses. Hi Carmel, yes, pwede kang mag-submit ng supporting docs. And yes, okay gumawa ng explanation letter para malinaw sa kanila. Regarding being a nurse, hmmm, first time ko narinig yun, so I’m not sure if nagmamatter. Pero baka hindi naman. Nasa strength pa rin yan ng documents mo. plan ko po mag travel sa sokor nxt year,I’m an OFW at mag for good na sa Pinas nxt yr, wala po akong Itr. Do you have any idea para ma aprrove ang visa kapag mag apply ako? or any other documents na needed? Hi Ai, if may tax document ka dun sa bansa kung saan ka nagwork, pwede yun. If wala, naku, di ko na alam. Contact na lang an official agency. Hi April, best to explain it in a letter para malinaw. If wala pong work, medyo mahihirapan kahit na may sponsor. Pwede pa ring i-try pero best na magpatulong na lang sa designated travel agency kasi mas alam nila ang gagawin sa ganyang cases na very specific ang purpose. Yung OECD ay organisasyon ng mga bansa. Ang hinahanap nila ay stamp or visa mula sa mga bansa na member. Optional lang naman yun, kung meron lang. Hello, please I need a work visa to south Korea, can you help me get it? No po. We have no idea about work visa. Best to consult a travel agency. I just want to ask me my husband and my 2 kids (2yo and 5 yo) will be traveling in dec. Enough na ba ang 3500 usd or 4000 usd for 7 days trip? and need b na ung illalagay mo sa application form is ung amount mo sa adb? or bast mas malaki ung nsa statement ok lang? and also, since both of us are employed and from same company, kelangan pa ba tig isang coe, bank cert/statement and itr ilalagay naming sa mga bata? regarding sa itr, yung mga friends ko they applied with only the itr provided by our hr with no stamp and approved naman sila. Hi Ana, sa akin enough na enough na yan. But that depends entirely on your travel style and spending habit. And yes, ideally, mas malaki dapat yung ADB kaysa sa budget nyo. Regarding kung tig-iisa ung docs, I haven’t tried applying as a family so di ko alam. But I think kelangan ng copy for each applicant. Tawag ka na lang sa travel agency kung saan ka mag-aapply. Got my korean visa approved a few days ago. This will be my second travel outside the country. First was my Taiwan trip last yr. Indicated $1000 in the application form, present a bit more than Php 100000, complied will all the requirements as stated. Hi Claire, wala po kaming alam sa working visa. Best to consult a travel agency po. Hi, can anyone send me a sample cover letter as a support document explaining I’m a fresh grad and unemployed? I also can’t give my school credentials yet kasi naka hold pa sa school. I’ll be travelling with my family, my parents will support the trip. Booked our tickets in Oct already! Any updates? Currently unemployed din but also reviewing for a state board exam. My parents will be sponsoring my trip. Just wanted to ask if possible po ba na ma grant ako ng visa because me and my mom are planning to apply for one this month. My mom will be sponsoring me. I am a fresh graduate (graduated last March 2018) and still unemployed because I am planning to pursue a master’s degree this second semester. The problem is that we’re planning to go to Korea at the end of October but the enrollment for the second semester starts around the same time din po, last week of Oct. Do you think po ba na makakakuha ako ng visa if I send a letter explaining why I can’t present a school certificate and school I.D? Thank you so much. Looking forward for your reply. Hi Jill, pwede mo naman i-explain na kaka-graduate mo lang and magma-masters ka. Submit a letter na lang and proof na grumaduate ka recently for good measure. As stated on your blog. I am a freelancer, I registered as a single-proprietior this January 2018 and will get my first ITR January 2019. No specific form is indicated on your post, can I submit any form (ex. Percentage/Quarterly IncomeTax)? Thank you. Your reply is greatly appreciated. Hi mmm, it’s ITR. But if you can’t provide that, you can write a letter explaining that you’ll get your first ITR in January but in its place, you’re submitting the quarterly income tax instead. That’s what I did the first time I applied. Hello. Please help kasi first time out of the country ko yung korea. I initially declared na 10 days lang ako and now that i have my tourist visa, it means I’m allowed to stay for 59 days max, right? So my concern is, would they question me if I extend my stay? It’s my first time and I want to make the most out of the trip so after further planning and after the approval, I’d like to stay for 40 days na. I have funds to finance the trip naman but I’m wondering if they’ll ask me why I put 10 days sa application if in fact I will stay there for 40 days? Your answer will help me a lot as I’m an inexperienced traveler.. hehe.. thaank you!! Hi Mia, yes, you’re allowed to stay for up to 59 days. hello po. this december matatapos contract ko dto sa Saudi and i’m going to Exit na po. and plan ko sana mag tour muna sa sokor before mag process sa next work po. I don’t have an ITR kasi exempted po ang OFW jan and i don’t have any coe din po kasi tapos na contract ko, so wat i do po para ma approved visa ko. my enough savings naman po ako intended for my travel lang po. Hi Janenne, you can try writing a letter explaining your situation. Mahirap din yan though kasi baka isipin nila na magwowork ka sa Korea. Mas okay talaga if meron ka nang next work before ka mag-apply ng visa. Di kailangan na nagstart ka na sa next work mo. Kahit contract or job offer man lang sa next work mo, basta mapakita na may work na naghihintay sayo. What if I get invited by a relative from the Philippines? What are the requirements to specify him/her as my sponsor/guarantor? Thanks! Hi Claire, not sure pero ang alam ko, dadagdagan mo lang ng Guarantee Letter (or Affidavit of Support) and proof of relationship. Pero hindi magbabago yung mga requirements from you. You will still need to submit your own ITR, COE, etc. Hi Azil, may chance pa rin naman. Pero best to consult any of the designated agencies para ma-guide nila kayo kung anu-ano dapat isubmit. Hi, good day..do I required for a ITR for tourist visa since I am a retired AFP officer and no work at all. All I wanted is to try vacation in S Korea with my own first. Next town around I’ll bring with me my whole family. Thank you. If student ka, nag-aapply pa rin sayo yung requirements for students listed above. Your fiance having traveled to OECD country will have no effect to your application. You will still be treated as a first-time non-OECD applicant. Not sure about the requirements kapag hindi immediate family ang sponsor. But I guess the sponsor will have to provide everything required from parents plus an affidavit of support and proof of relationship. You can write a letter explaining why you can’t provide an ITR and say also that instead of the ITR, you are submitting a Certification of Creditable Tax Withheld at Source Form instead. Walang guarantee kasi strict talaga Korean Embassy now pero may mga kilala akong ganyan ang ginawa and naapprove naman. You can write a letter explaining why you can’t provide an ITR and say also that instead of the ITR, you are submitting the other form instead. Yep. If may bank account ka dito sa Pilipinas, pwede rin yun. Hello nadedeny din po ba pag ofw? Yes po, pag hindi nameet ung requirements. Just want to ask, yung kasama ko mali yung spelling ng name nya sa ITR, plan po namin gagawa nlng sya ng explanation letter, ksi mejo di nya pa mq kukuha kng bagong ITR nya na correct spelling ng name ya, possible ba ma ddeny sya? You can try na magpagawa ng letter from yung HR ng company saying na may mistake. Baka tanggapin yung letter. I mean, better than nothing. Hi! I’m planning to go to SoKor with my brother. Problem is I only have an online job, employer is based in Japan so I can’t submit an ITR or COE. However, I can present proof of payment via PayPal. Oh, The whole trip will be shouldered by my brother too and he’s a US citizen. Am I still qualified to apply for a visa? Would you be able to get any letter from your employer in Japan stating what you do for them and the type of arrangement you have with them? That would help your case a lot. You can also write a letter explaining why you don’t have an ITR and instead you will be submitting other proof of income like Paypal invoices. Of course, there’s no guarantee of approval. For future visa applications, you might also want to get an ITR na rin. Hello! I’ll be travelling with my brother and his wife this coming November. Tanong ko lang po sana if dun sa section na “Are you travelling to Korea with any family member?, do I need to write the name of my sister-in-law? Mdyo confuse po kasi ako dun sa stement nla na “Definition of a Family Member – your spouse, father, mother, children, brothers and sisters”. Hi. If I apply for a Korean visa using the BDO/BPI promo with no definite travel date yet and got approved, is there a period which I should already use my visa and if i don’t travel within said period will my visa be forfeited? Thanks. Hi, should a 50k bank statement be sufficient for a 4 day trip given that i have an OECD Visa and travelled to an OECD country (also non-OECD countries) in the past 5 years? Im employed and can give the other requirements but im just nervous with regards to my bank statement. Thanks. Hi Gel, no idea about how much yung sufficient. 3 years ago, I would have said yes, ok na yan. But the Korean EMbassy has been really strict these days so it’s hard to tell. My dad will be sponsoring our trip to Korea. I am currently employed. Will they also look for his bank statements and ITR since he will be the one to pay for this trip? Hello. My classmate and I will go to SoKor this coming November. Our flight’s booked already. We’re both students, but ako, I have work. So she’ll be applying for a visa as a student while ako, as an employee. I just asked our HR department today and they said that they can’t provide yet my ITR kasi January pa ang releasing ng company. I got hired last May 2018 by the way and this is my first job. What are the chances that I will get approved if mag p-provide nalang daw ang HR department namin ng explanation letter about my ITR? I told them that my trip will be this coming November kaya I need to process my visa requirements already. I am really hoping for an advice from you. I’ve been reading this blog since January. Thanks and more power! Hi Lah, you have 2 options. 1. Continue applying as an employee. Pwede naman yung explanation letter from HR. Provide na lang din other proof of income/employment like payslips to make up for the lack of ITR. 2. Apply as a student but you will need to submit your parents’ financial and employment docs. Thanks for the reply! :) I want to consider the option 2 but my mom is actually a self-employed but we don’t have any stores/stalls related with her businesses. She’s like a middleman sa field niya (direct selling) and she’s been there for like a decade na and I would say she really has stable savings. My worry is that if I apply for a student visa, baka di ma-approve kasi wala kaming mai-pprovide na business permit from the mayor’s office, ITR or even certificate of employment. Will an explanation letter suffice? Also, I would like to ask which is better sana. I have 2 bank accounts kasi. The first one was opened way before when I was a child and it was opened by my parents and the other one naman was opened 4 years ago when I entered college. All my recent savings for the past few months nasa second bank account ko but hindi pa siya umaabot ng 60K. My mom said what if gamitin ko nalang yung first bank account ko which may stable savings (more than 100K) but the thing is walang masyadong hulog dun for the past 3 months. This month ko pa lang sana siya huhulugan. I will transfer some of my savings from my second bank account going there sa first account. Is that a safe move or good idea? If ever, yun nalang kasi ang ippresent ko for bank cert/statement. I am really looking forward for your advice cause we are about to submit our requirements this coming October. Thank you so much! About your mom’s business, mahirap nga yun if wala syang documents. Better to apply na nga lang as an employee. Regarding bank accounts, naku, don’t transfer anything. It may look suspicious. What I suggest is to submit BOTH your bank accounts. Pwede naman yun. Explain na lang sa cover letter na you have 2 bank accounts. I see. Sorry, what cover letter po? Hehe! You can submit a letter when you need to explain something about your application. Thanks for your response regarding the cover letter, Yoshke! :) Also, ask ko lang din po if okay ba na sabihin sa cover letter ko na I am also a student and that I am working at the same time? Would that be okay or baka maging cause pa siya ng problem? Hoping for your reply. Thank you! Pwede naman yun. Pero I think generally, if strong naman ung supporting documents mo sa either, mas okay kung pili ka na lang para hindi complicated. Hello! Thank you for your diligence and patience with answering the questions. However, I’d just like to ask if it’s okay that my HR officer didn’t put my salary in my Certificate of Employment? I had specified that it’s for visa application purposes, but it slipped my mind to list the required information. Will I have to ask for another certificate or will this suffice? Other than that, the information is complete. Hi Pat, if you can get another one na merong salary, better yun kasi required detail yun. If hindi mo na talaga kaya kumuha, pwede ka rin magsubmit ng payslips in addition pero mas okay if may salary sa COE talaga. Sharing some information that might help those who are going to apply for Korean Visa. My husband and I applied last Sept. 24, 2018 with Reli – Dusit. They only accept typewritten or computerized answers dun sa application forms. Leave the items that are irrelevant to you BLANK. Do not put N/A. If ever you need to reprint, the agents there can help you, so save your application form in a thumb drive in case you need to reprint. They charge P5/page. We already got our visas and i was surprised that we were granted a 5 year multiple entry visa! Hi Charisse, thanks for sharing! Very helpful. We’ve added your tips to the FAQs above. You’re welcome. I always read your travel blogs, they’re very helpful! Thanks so much for sharing your experiences. God bless you! I’m currently employed in my mom’s company but she’s willing to sponsor my trip with my friends naman since i don’t have enough funds to sponsor my trip on my own. Possible ba yon? What requirements should i submit? Thank you so much! You will need to submit both your sponsor’s and your own financial and employment docs. Hi. I’m currently employed right now sa office ng mother ko for almost a year. Mag-apply ako for a visa cause i’m planning to go with my friends. Since wala laman masaydo bank account ko since i had to pay for something recently and hindi naman po mataas ang salary ko, would it be okay if i submit my financial documents and yung sa mom ko? She’s willing naman daw kasi to shoulder my expenses for the entire trip. Stable naman po ang work niya and maayos ang sweldo niya. May chance po ba ako ma-approve for a visa? What do you suggest na gawin ko po? Thank you so much! Hi yashke ! Memo Mahabad eto ha, so bear with me . Mine was kinda different from the rest. I was supposed to submit my application thru reli ‘s mega, I came late , and the agency , as always seems to be very busy with super long queue and waiting time . And then , nadaanan ko c travel pros , while nag pa papicture ako , na caught ng eye ko yung poster nila ng Korea and japan visa app. So pag google ko, yey ! Accredited pala Sila for Korea visa din , nag doubt p ako coz walang pila s kanila. But if s reli , it will take me 2 hrs min, give and take … so bahala na , nag inquire ako s kanila . Pang second ako s line, in 2-5 mins I’m done hehe. My dilemma comes next ….. sept 25 ako nag submit around 6pm,and the agent told me na, by sept 27 pa mkakarating s korean embassy yung application ko. Sept.27 (thurs) , around 9-10am , a landline number was calling me na wala s directory ko, pag ganyan hndi ko agad sinasagot coz bka mag offer lng Kung anu anu hehe…. imsomiac p naman ako , and late magising . But that day , nasagot ko sya . And lo and behold…. “ Good morning mam, this is *** , from Korean embassy, are you *** ? Omaygad , natararanta ako …. jusko lord , tinawagan ako ng consul ! As in sa akin nag CI , Nevertheless, I answered all her queries truthfully and confidently . Note : I applied as an employee, although hndi ako active s company, coz tamad n ako, sori , I’m 45 na…. i worked hard for the past 25yrs na and time for me to relax .., Yung pinaka highlighting question nya was if where I am right now , I answered home. Then she asked, if I have work, why am I at the house at this time and day of the week. .? . told her , I don’t go to work anymore although I am still employed with payroll and allowances . And why is that ? told her my hubby and his fam owns the company, .. sounds rude and arrogant , right ? Jusko lord , pati ako ako nagulat sa sagot ko… pacencia na s mga readers coz yun kasi lumabas s taklesa kang bibig, nasa Huli talaga pag sisisi….and so the waiting game starts. Nag research ako , if Meron same nag experience ko na ako Mismo applicant ang tatawagan, but so far, wala ako ma sight… so lalo ako kinabahan , and feelin ko lalo n hndi mka ka sleep…. nag status check ako nag Thursday night, waley pa… then sb ko nga insomiac and restless na ako s sobrang kaba , grabe, every hour nag checheck ako… bet 11 pm to 12 midnight of that same day (thurs sept 27) , yey ! Approved !!! Dunno if na swetihan ko or hndi ako pinabayaan ng mga guardian angels ko and or Nakuha s Dasal. But one thing is for sure talaga… Just be truthful and submit all requirements talaga and it will be as easy as 1, 2, , 3. Good luck to everyone ! hello good morning senior citizen at retired na po ako my sister buy me ticket para mg tour ng 6 days sa koria , maka kuha kya ako ng visa 21 months ago ng travel din ako ng asian cruise 4 na country ano mga requirements, na maka tour na rin ako ng USA .canada my pg asa ba ako maka kuha at saan. Hi po! If okay naman ung requirements, pwede naman pa rin. Nakalista na po sa taas ang requirements for retired seniors. Good Day. Meron po kaming invitation letter from my husband’s employer na nsa Korea. Kakastop ko lang po magwork last Dec 2017. Ang existing account ko po ay 3. Ung remittance nga asawa ko hnd ko sure kng pwede kc po E-9 visa holder sya. Ung 1 po last year lang naopen pero below 100k kapag ngdeposit kmi dun bka maging suspicious transaction. Another na pede ko gamitin is ung Joint Account namin ni mother ko since ako po nagmamanage ng business nia. Maapprove po ba un? Alin po ang d best gamitin para maapprove. Hi Meshies, naku, di ko alam. Di kasi ako familiar sa e-9 visa and kung ano implications nya. Based on experience, okay lang naman ang bank account. If nakapili ka na ng travel agency kung saan ka mag-aapply, best to contact them directly kasi for sure mas alam nila kung alin ung pinaka-ok.
Lahat ng applications for a tourist visa have to be coursed through a travel agency. Hi!! I will be travelling with my boyfriend’s family, i’m currently unemployed since I passed the local board exam(Physical Therapy) last feb 2018. Then starting this november, mag stastart na din another state board review ko for US. My father who is currently overseas will be the one sponsoring my trip. I already have copies of his bank certs and statements, ids and COE (although photocopy lang since he brought the original copy with him). I also have my supplementary credit card, Atm account and passbook saving kaso around 10k lang yung laman nun. My question is do i need to submit documents din ba like my bank accounts or SOA? What other documents can I provide besides the one that I listed above? Our travel date is near na, nov 29 na and I’m afraid baka di ma accept application ko :( btw, i also travelled before to singapore (5days) hongkong (3days). Hi Aica, generally, based on experience of a friend na kasabay ko nag-apply dati, kahit na sponsored, they will still ask for your own financial docs. If hindi mo kaya ibigay, pede ka gawa ng explanation letter pero malaki chance na madeny kung wala talaga. 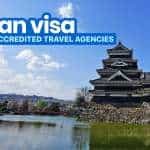 Hi po ask ko lang po last 2016 galing po ako Japan, then 2017 na approbahan din ako ng visa sa south korea, balak ko po sana mag apply ulit ng visa sa South Korea this coming 2019 ma approbahan po kaya ako ng multiple visa? tapos yung gagamitin ko na account inopen ko lang sya last January 2018? 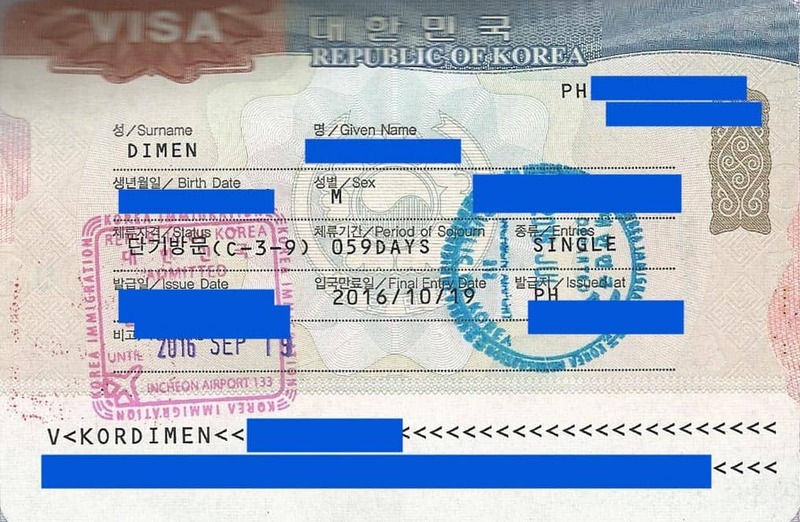 Hi Aileen, generally, you can be granted a multiple entry visa if: you’ve been to Korea at least 4 times in the past 2 years or 10 times total, or you have an eligible BDO/BPI credit card (listed above). There are cases when applicants are granted a multiple entry visa even if hindi frequent traveler to Korea or walang BDO/BPI premium card. BUT these cases are very rare. If you’ve only been to Korea just once before and you don’t have an eligible credit card, best to apply for a single-entry visa para less yung risk na ma-deny. Hi Jessica, that could work since flight itinerary is not required. But it’s going to be a problem if they suddenly decide to ask for it. Ask ko lang dn sana kayo for your opinion. I am a self employed interior designer. So nagregster nako ng business ko. Complete permits which i use for japan and korea visa. My mom recently resigned from her previous office a year ago. So i took her under my wing and employed her. Ngayon aapply sya visa but im the one issuing all requirements. And she will have no itr pa since mag1 yr plang sya sakin and ippsa namin is cover letter with her 2017 itr. Tngn nyo po ba okay ung gagawin nmn?may chance naman sya to have approval? Thank you! Thank you so much! ♥ Yes i will still try. Worse comes to worst, magJapan nalang cguro , mas madali maapprove don :( Thank you so much! Hi Yoshke. It’s me again. I have question regarding the sa pag fill up ng VISA application form. I am really confused. Dapat ba leave it blank lang para dun sa mga questions na not applicable or put N/A or NOT APPLICABLE? I am indeed confused. :( I am reading a lot of forums/blogs tapos sabi nila DON’T LEAVE ANY INFO IRRELEVANT TO YOU BLANK. Help! :( Thank you. 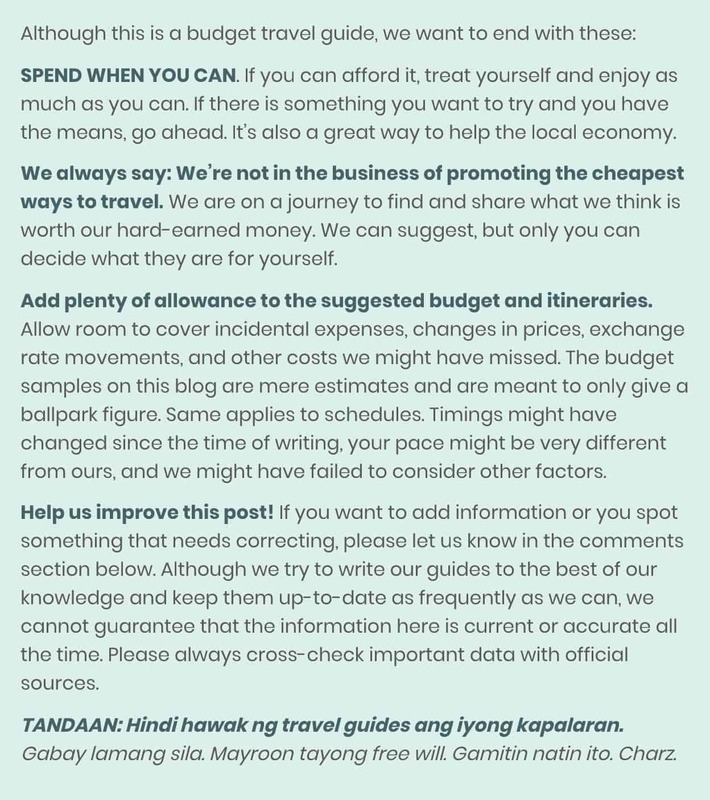 Ang important is if it makes sense for them yung salary mo and laman ng bank account kapag tiningnan with your length of stay and itinerary. Not sure about banks abroad now. Best to contact na lang po a designated travel agency kasi mas alam nila. Hi John, personal appearance is not required. But u must course it through a designated agency. If Korea has an embassy in SG, you can apply there too, but I just don’t know what the process is. Hi! my daughter would like to watch a k pop concert in 2020. She wants me to come with her. I wonder what are aur chance of getting our visas approved. She has been working for 2 1/2 yrs as an IT software engineer. I have been separated from my husband and unemployed. In the past we have been to S. Korea using a transit visa . We( me, son and daughter) were able to get a US dependents id (me and my son only) below 7 yrs old is not allowed to have an id yet also an id for the Us base Commissary. Their father works for the US army.. Do you think it will help to write a cover letter regarding that trip & affix the tickets we had then. I don’t have those passports(2000) anymore i wonder if DFA got it. Does DFA have the list our past travels or does S. Korea have that list. I am just wondering if it can help us get our visa approved. I messaged you din sa post mo on Japan Visa I am thinking kung hindi matuloy ang travel namin 3 doon this 2019 what are the chances na ma approve pag kami lang ng daughter ko to S. Korea naman in 2020. .Thank you again. I don’t know whether or not the US dependent ID would help or whether or not the DFA has a list of your past travels. But if your daughter has enough funds, stable employment, and satisfactory papers, she can sponsor you and there’s a good chance the application will be approved. travelled outside the country,I mentioned the trip w. my children in 2000 in Sk ,He asked for the year and month of that trip at sino mga kasama ko and checked on the computer After a while okay na, That;s why i asked you baka you have any idea. How are applicants given MULTIPLE ENTRY visas? Do we need to specify it in our application? Or like the US Embassy,they will be the one who will determine if they will give single or multiple entry visas even without the request? Hi Dane, to be honest hindi ko alam. Di ko pa rin kasi na-try. Ang alam ko lang is may BDO/BPI promo. May mga online sources na nagsasabi na those who have been to Korea 4 times the past 2 years or 10 times total (most recent in the past 2 years) can apply for multiple kahit walang BDO/BPI premium credit card. Pero di ko sure kung paano gagawin yun or kung totoo yun. Hi Yoshke! Ask ko lang, once nakakuha nako bank cert/statement, pwede ko naba kaya agad withdrawhin ung money from the bank? or will they look into it pa? thank you so much! Hi Georgie, kung konti-konti lang, pwede. Pero if malaki iwiwithdraw mo, wag muna. Wait na lang na ma-issue-han ka ng visa. The Korean Embassy is very diligent. Minsan tumatawag talaga sila. Minsan humihingi sila ng additional docs. Hi Yoshke! Wow, good to know. Thank you so much! 1. He was just hired this March 2018 and his employer cannot provide him his ITR. He included in his application a cover letter explaining why he failed to submit an ITR. 2. His bank account is just new, opened on May 2018 but he applied for a Bank Certificate and Bank Statement when his bank account is more than 6 months already. 3. His employer deposits the salaries of their working amounting to thousands of pesos but were also being withdrawn the same day. He is assigned as a site engineer by the way. 4. Attached to his cover letter is the Project Assignment from his employer but his name was affixed by an “Engr.” eventhough he is not licensed that is why the consulate asked for his PRC ID. 5. Since he is not yet licensed, he submitted another explanation letter that he is not yet licensed that is why he failed to submit a photocopy of his PRC license. Is there a chance that his application be approved considering that he submitted the complete document? Thanks Yoshke. Sana ma-approve din sya. Just got approved today. Tomorrow is his scheduled date ng release ng visa application nya. Hi Carla, di ko alam if same case kung married, pero in general if hindi sa kanya nakapangalan, di sya self-employed. If iissue-han mo sya ng COE, mas Employee sya. Hi sir Yoshke im planning to visit korea and stay for 5 – 7 days meron po ako business d2 sa pinas computer shop meron dti and mayors permit meron na rin akong bank account matagal na. Kailangan ko pa ba ng ITR? yes po. If wala, best to explain bakit wala. Question: Does traveling to Jeju twice count as a visit to South Korea? I have a friend who traveled to Jeju (MNL – HKG – CJU, then CJU – HKG – MNL) without stepping foot on the mainland. Hi Al, not sure if counted ang Jeju. Baka ung binibilang nila ay yung number of visas, di ko knows. Contact na lang the agency where you want to apply. Pero yung “MNL – HKG – CJU then CJU – HKG – MNL,” counted as one lang yan if ever. Unless twice nya ginawa. we will travel po as a company, mga 6 kmi, tpos ung company ang magsponsor, tpos makkapgprovide po ang boss na affidavit of support for our travel as what we did also last year for japan, di na po ako ng submit ng bank cert/bank statement. approved namn and ive been to japan twice already this year(both with sponsor). this next month for our travel to korea, as what i read from above na need po talaga ng bank cert/statement kahit may sponsor. in my case, okay lng po ba wlang bank cert? Hello po! I have issue po regarding with my COE is it okay po if my COE is signed by my boss electronically kasi po he is out of country? thank you! Hi Mia, when I first applied, yung COE ko was digitally signed din kasi Singapore-based yung company, wala namang naging problem. Ewan ko lang ngayon if pwede pa rin. Hello po sir Yoshke… Meron po akong trip to Paris via Asiana Airlines tapos may layover po sa Incheon Airport for 8 hrs..
Pwede po ba ako makalabas ng airport during that time? Or kelangan ko po mag apply ng visa? Tapos pagbalik ko ng pinas layover ulit sa incheon..
Hi Allan! Yung last na alam ko, hindi kasama ang Schengen visa sa mga allowed to exit without transit visa. Pero double check mo na rin sa embassy. You can call or check their website kung meron silang info. Me and my friend are planning to visit Korea this August 2019. My friend is working in Japan tho. 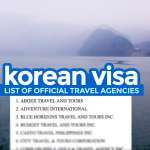 Do you have any idea on how to apply for Korean Visa from Japan for OFW? Punta lang sya sa Korean Embassy sa Japan. Ang alam ko need lang is yung visa application form, picture saka yung residence card. Mabilis lang yung process nila pero very strict sila sa time dun, 9am to 11am lang ang application. pag 11:01 di na nila tatanggapin. Sinamahan ko kasi yung pinsan ko mag apply tapos lumagpas lang ng minuto hindi na talaga tinanggap. Hi Feewee, di po ako ganun ka-familiar sa policy pag multiple kasi di ko pa natry. :( Pero you can contact the agency na lang since required naman na idaan sa agency. It can be, but it still depends on many other factors. 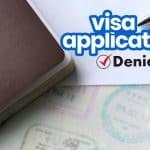 There are those who don’t have international travel history but because they have stable job and more than sufficient funds, their application is approved. Sir, Yoshke Dimen. Salamat sa blog nyo. Everytime plan ko mag travel dito ako nagpupunta para mag ka idea. Salamat ulit sir. First time traveler outside the country with my cousin (she is an Irish citizen). Regarding with the application form, ano po ba input ko sa kung sino kasama ko. Do I write with cousin? Or mas better alone na lang? Baka may follow up requirements sa cousin ko kahit taga Europa sya. Hi Joselly, better na ideclare mo na lang yung totoo. Di ko lang alam if may additional docs pag ganun, parang wala naman pero ewan ko rin. I would just like to ask a few questions regarding Korean Visa application. 1. How do I apply for my whole family (myself, my spouse, 2 kids aged 16 and 11)? 2. Are bank documents required if you have been to any of the OECD (Organization for Economic Co-operation and Development) countries for the past 5 years? 3. My wife and I are both employed, do we need to provide both our COE and bank documents? 4. How do I indicate in the application form that both of us will be funding the trip on our own? Hi I just want to ask because my sister will be sponsoring my Korea trip on Feb 2019 however her company sent her abroad already and won’t be able to get her COE from the employer here in PH. I asked her if possible to authorize someone to get the COE but their HR says that only my sister can get the COE in person here in Pinas. What should I do? Can I provide a cover letter explaining the situation? I asked her if possible to authorize someone to get the COE but their HR says that only my sister can get the COE in person here in Pinas. — It will be safer to convince the HR of your sister’s company to provide a COE than to convince the embassy to grant you a visa without the COE. Hello Sir Yoshke, ask ko lang po when is the best date to apply for our korean visa if may booked flight na kami on 23 May 2019. Thank you. hello good afternoon.meron ba agency pa korea sa davao.? and magkano ba ang show money? Good day mam!! I am planning po to visit Korea next year po sana. And i-memeet po ako ng tita ko na resident na po dun. Pwede po ba mag stay dun ng 3-4 months gnun po? Hi Yuri, any particular reason bakit ganun katagal yung stay mo dun? Pano po pag OFW both parents ko but I have a bank account naman po pero invite po kasi ako ng ninang ko na nakapag asawa ng koreano. Pwede po bang yong bank acc. ko nalang po gamitin? Senior high School Graduate this coming April 2019 then april din po sana want kona magapply visa. Hi Kim, I think it’s still best to submit your parents’ docs kasi they might need more than yung bank account mo kasi student ka pa lang. Ako from manila to Seoul, magkikita kami doon ng anak at manugang ko galing ng US, mga 3-5 days lang tapos sabay din kaming uuwi ng Manila, ano po ang pwede kong gawin sa mga documents ko? facebook account po ang gamit ko …pwede po imessage sa messenger. Same pa rin po ang process as indicated above. 1. Okay lang ba na ang PERCENTAGE TAX (2551Q for 4th quarter) lang ang e attach ko? 2. Since I am a Freelancer, I am registered as ‘Self-Employed Professional’ sa BIR, okay lang ba ang ilagay ko EMPLOYED under “Employment” sa Application Form? ang gagawin ko kasi na COE (on behalf of my client – he will only sign) is “Remote Worker”. baka kasi ma e compare nila ang employment/taxpayer type ko sa BIR at sa COE. 3. Okay lang ba na EMAILED COE at HINDE ORIG. ang ma i present ko? Thank you in advance! GOD BLESS! Hi Maria, it’s best to ask the designated agency kung saan ka apply kasi mas alam nila kasi minsan iba-iba rin sila ng leniency. Hi, i have a question regarding sa OECD. I’ve been to Japan and Australia. I understand that they will need an original copy and photocopies of the OECD visas but I’m wondering about the AU one, since online lang nila iniissue yung granted visa, will printing a colored version of the granted AU visa be considered original copy na and then I’ll just make a photocopy of that one na lang. I don’t have stamps din since they don’t stamp passports na in AU. Hi Jacq, you can use a printed version of the e-visa as proof. Hi, Magiging unemployed ako this comming April 2019 and will be getting maried on Oct2019. We are Planning to have our honeymoon in korea on Oct2019 also. maapproved kaya ako for korean visa? Pwede pa rin naman yata, basta prove mo lang na kakakasal mo lang and submit mo na lang din documents ni husband. Pero mas malaki talaga chances pag employed. Hi. I would be going to South Korea this coming Feb. for 5 days and will be going back again on last week of April to the first week of May. I don’t have BPI or BDO Credit Cards only Citibank. 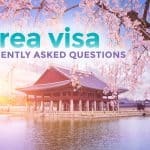 Do I need to re-apply for Korean Visa again after I used my Feb. Korean Visa or is it possible to apply for Multiple Entry Visa? Just an added info. I’ve been to South Korea once (Last Year). I hope you can read and answer my question. Thanks in advance and God bless! Hi Jonavie, yes, unless you’re eligible for multiple, you will most likely to be granted a single entry visa so you will have to apply again after that. My friend and I plans to travel on May 2018 and I plan to apply for Visa on April. However, I have a conflict employment… I resigned last April 2018 and started a new work last June. The company is like a branch from US and started last May so we don’t have an HR dept yet. – We don’t have a company ATM and my salary is deposited semi-monthly on my Bdo payroll account from my previous company. Can you advise what should I do here for may bank statements and bank certificate? – How do we create a cover letter? Do we compile every explanation on a page or should be separate? Naku di ko alam pag ganyang situation. Ang worry ko is, kasi dahil mukhang new yung company and di pa naka-settle ng maayos yung PH office, baka pagdudahan nila yung company. Registered business naman sila? You can explain it in a letter and then attach other proof? Wala pa silang HR pero can they provide COE? Ideally 1 page lang yung letter para di tamarin magbasa yung mag-a-assess. Hi, thanks for the feedback. Registered sila, may few requirements pa inaayos dito sa PH. Makakapag-provide din sila ng COE. Yung Admin/Supervisor/HR namin dito ang pipirma, pwede naman yun diba? Hi Gracee, sa experience ko, tinanggap naman nila yung COE coming from my boss nung freelancer pa ako. Wala rin kasi silang HR that time. I think okay lang, pero di ko sure kasi baka mas naghigpit na sila. Pero sa experience ko, tinanggap, naapprove naman. Nagcheck na po kayo ng status online? Hi JS, yep! Basta sabay-sabay yung application nyo dapat and you can prove na you can support them all and okay naman yung employment mo, ok pa rin chances nun. Hi! Good evening! My company/ employer will be sponsoring our korean tour this month, as our bonus. However, i still have some clarifications. 1. I don’t have sufficient amount in the bank right now, or a letter from my employer will suffice and guarantee, since it’s a company sponsored? 2. I applied korean visa dated 2014 but i was denied then, and I already lost the “slip paper” from korean embassy stating rejection. Do you think, korean embassy will still look for that piece of paper when re-applying korean visa again after 5 years? 1. They will still look for your own bank documents even if it’s company sponsored. Happened to my teammate before. Hi… im applying for korean visa.. but the problem is i dont have an ITR because right after i graduated march 2014 i worked in our own business (my parents business),and they didnt add me on the list of their employees.. just only this year 2019 of january they add me as one of their employees. Also for ITR, dont have it pa.
Hi Claire, that’s a tricky situation either way. I don’t know which is better or worse though. If you declare that you just started working in January, you will appear to be not as rooted in PH. But there might still be a chance if you have a good travel history and ok funds in your bank account. If you decide to declare that you have been hired by your parents’ business since 2014, question: what proof will you submit? How will you explain why you don’t have an ITR? Hi, ask ko lang about ITR 2316, need po ba ng BIR Stamp or ok na po if I include the alphalist when submitting the documents? 2. Gold card holder, can I present my SOAs and bank certs/statements instead? 4. Planning to apply for Australian Visa as well, would you recommend to get a AU visa first or Korean Visa? Re Australia, doesn’t matter which goes first. You can apply at the same time since AU application is completely done online. Yes, you can submit an explanation letter, but it’s best to also provide other proof of income to make up for the lack of ITR. Hi, thanks for your detailed article. Question, any tip you can give for a Online job employee? I actually stopped paying tax when I stopped working in a corporate office. If mag submit ako ng ITR form and it will reflect there that I am no longer paying tax and ma cross check nila sa aking bank account that I am receiving monthly more than the amount na hindi excempted sa tax. What will happen? Hi Dee, kelan ka umalis ng corporate? Hi, can we use online print-out for bank statement? Same with online SOA for credit card? I’m a holder of gold master card. Can i ask if pwede ka ma approve if bago kapa lang sa work? Like one month palang po? I recently resigned kasi on my past work, took a break for 5 months, and recently started working again. Hi Yoshke… my family and i will be travelling to Seoul in a few months… my parents are both retired from work, senior citizens.. they only have a joint account… pwede kaya nila gamitin yon? in presenting their bank cert and bank statement? sponsoring themselves kumbaga… if not naman… if, through my account na lang, sponsoring them for the travel, do they still need to show their bank cert/bank statement? Thank you..
Hi Izel, if may sufficient funds naman yung joint account nila, pwede nilang gamitin yun. Yung experience ng friend ko, when I joined a friend na mag-apply, hinihingi pa rin nila yung personal bank docs kahit sponsored yung trip. Pero baka nagbago na now. Hi Angel, ang alam ko, you just need to submit a copy of your marriage cert. Lagay ka na rin ng explanation letter to be sure. Yep, kuha ka ng school certificate to be sure. Thanks for all the info on your blog. I usually use your blog for tips when travelling. I was granted a 10-year multiple entry visa to SoKor last month. It was my first time to visit Korea and planned it to coincide with my birthday so I was ecstatic after I claimed my visa. Great blog! hi po, tanong ko lang po mag aapply kame nang anak ko nang tourist visa 2 yrs old po anak ko ano po requirement sa bata?? tanong ko din po asawa ko nasa korea nag tatrabaho gusto nya po pupunta kame dun kami sa bat…paano po ba yan hindi pa po kame kasal? Hi Janien, unfortunately, di ko alam dapat gawin pag sa case mo kasi outside my experience po. Contact na lang po a designated travel agency. Hi! My lola will be travelling with me and she’ll be sponsoring the trip. She’s already tax-free since she’s a senior citizen. Do we still need to submit an ITR? Since i’m a student, do I need to submit my parents’ bank certificate and ITR still? Also, for the section in the form saying “Details of sponsor”, is that referring to my lola, or is it not applicable to me because that section is for those with korean resident sponsors? Thank you so much! Hi Paula, according to the agency we talked to, as much as possible, immediate family member yung best na mag-sponsor, which means, if ok naman ang docs ng parents, mas okay na sila ung ideclare na sponsors. Di ko lang sure if sa situation mo, better kung yung lola dahil sya yung kasama mo. I don’t know din if needed pa ung docs ng parents if lola yung sponsor. Hopefully yung ibang readers na naka-experience would be able to answer this. Hi Bernard, ang alam ko po ay okay lang yun. HI. applied Korean visa on March 7 2019. 5 pax kami. 3 already approved. 2 kasama ako, status is application received. Hello! I just wanna ask, me, my mom and her best friend are planning to go to Korea, I’m still a student and my parents are self-employed. I want us to spare the time of submitting banks statements and the likes, so can the best friend of my mom act as a sponsor for us? She’s a permanent resident of Japan. tldr: Can a friend sponsor our travel in Korea given that she will also be travelling with us. Hi Moe, ang alam ko, they can BUT chances of approval are much lower than if your mom is to submit her own documents. I took care of an application of a sponsored friend before and even though sponsored sya, the embassy still requested that she submit her bank documents. Hi! Di ko po alam. Sa experience po ng team namin, kahit sponsored, hinihingan pa rin ng bank cert. Hi, may I know how your visa application turned out? Halos same tayo ng situation, fresh grad ako ang still unemployed, tapos ang mom ko naman ang permanent resident ng Japan. Thank you. Usually, 3 days sa embassy but agencies usually add more days for their own logistics. Hi! I have an ITR however it has no BIR received or BIR stamp since our head office is in manila and it was filed in BIR manila then the company cannot also provide an alphalist since it is confidential. I have a PRC ID and COE. Is there a chance of me getting an approval? Hello, I was wondering if it’s possible to go on a tourist trip to Seoul even if you’re unemployed but your parents will pay for your expenses? If it’s possible, then which list of additional requirements do I follow? I am a freelancer. Though I have consistent and long term contract, i think they would still consider it as part time. So I applied for credit card listed for exemptions in bank requirements and itr. If I receive my credit card which is among the list for multiple entry visa, do i still need to submit job certificate? Yes. Required pa rin ang Certificate of Employment. Is it okay if my coe is as homebased freelancer? Hi, me and my 2 daughters who are current studying are applying for visa as a family. Re: Bank certificate and bank statements, do I need to submit 3 original or pwede ng photocopy yung dalawa? Hi! Our family is planning for a vacation this july. And we’re kind of stressed re: sa visa application. Paano if one of us works as a job order worker? Accepted pa rin po ba yung COE kahit walang employee-employer relationship? Thank you! Hi Ace, I think pwede pa rin. But best to consult a travel agency. Can bpi supplementary card holders avail of their promo? Need pa rin po ba yung itr and bank statements for it? 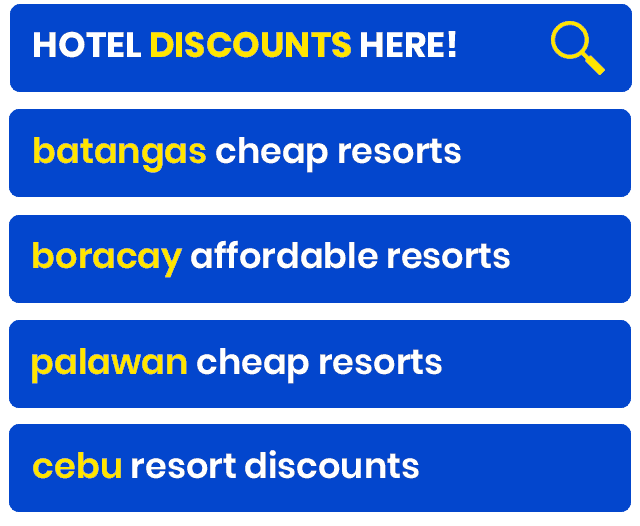 According to the travel agents we talked to, supplementary/extension card holders can avail of the promo provided that the primary card holder is applying at the same time. Hi po! Pwede po mag tanong. It’s about the supporting documents po specifically OECD Visa. Meron po akong granted Tourist Visa po sa Australia, pero I didnt push through with my travel due to personal reasons. Will I still be able to include it as my OECD supporting document? Please help me po. You may reply with this comment or mas okay po sana sa email ko po at kshapino@gmail.com. MARAMING SALAMAT PO SA MAKAKTULONG PO. Urgent lng po talaga kasi mag aaply sana ako next month dito sa Cebu.